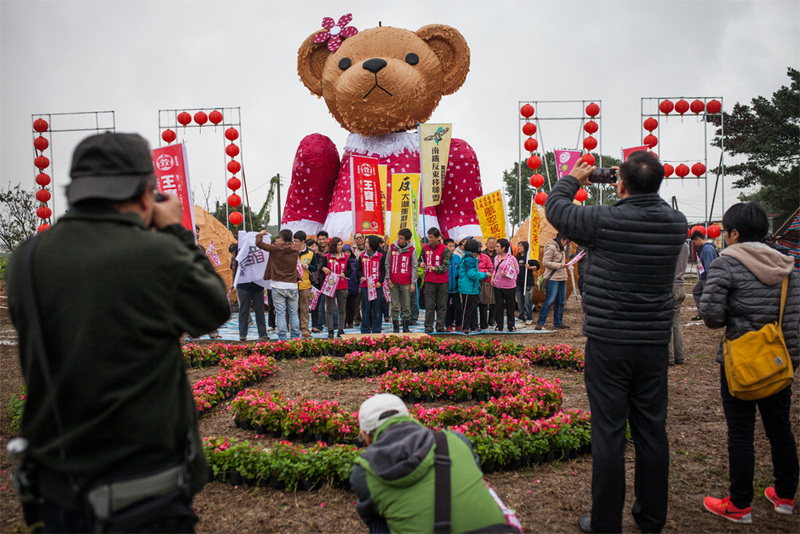 A January 10 rally in Zhubei City for the Minkuotang, a party founded in March 2015 by former Kuomingtang representative Hsu Hsin-ying. 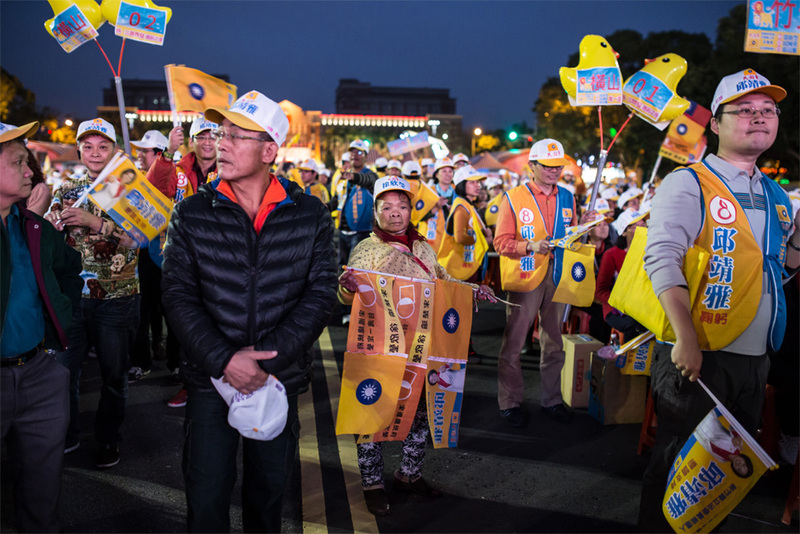 Campaigners in Hsinchu City prepare for a street rally for the New Power Party, which emerged after the Sunflower Student Movement in 2014 and advocates for political liberties, universal human rights, and Taiwanese independence. 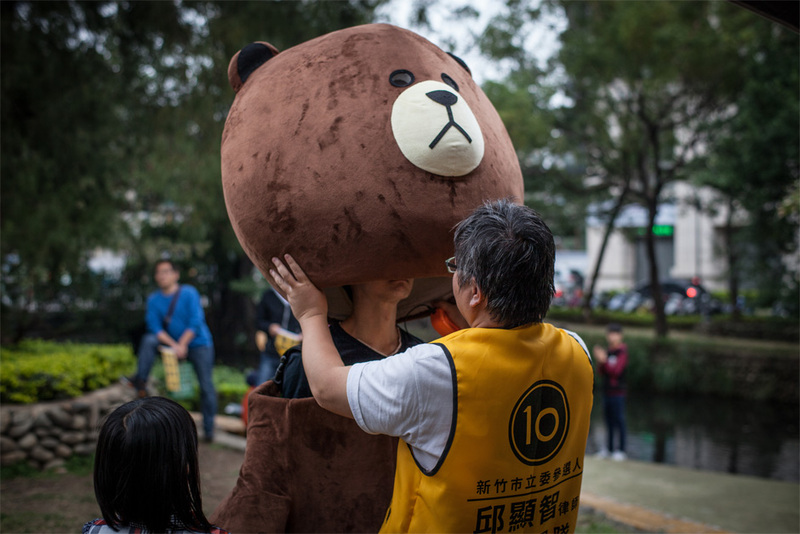 Wang Bao-xuan, the candidate representing the union of the Green Party and the Social Democratic Party, gathers with supporters around a teddy bear called “Nüyingxiong,” a mascot for a protest against an expansion of Taoyuan International Airport that would displace 40,000 farmers. 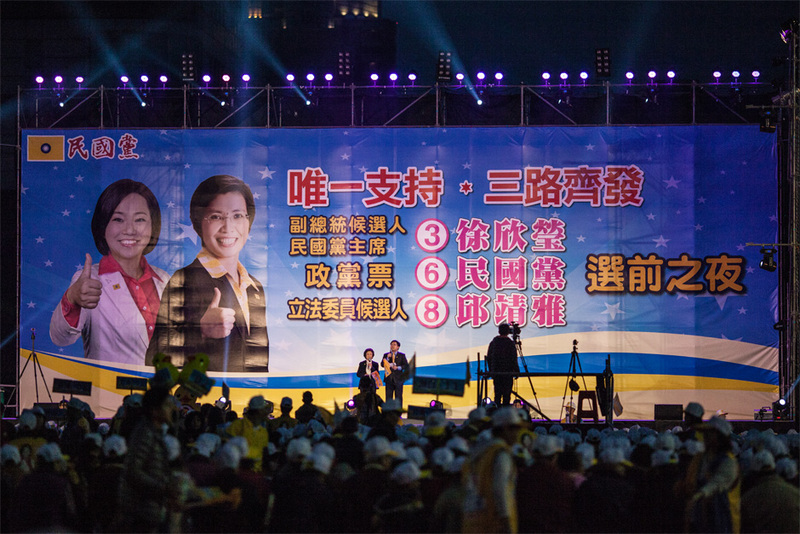 Candidate Hsu Hsin-ying at a rally in Zhubei County on January 10. Hsu left the Kuomingtang less than one year ago to found the Minkuotang. 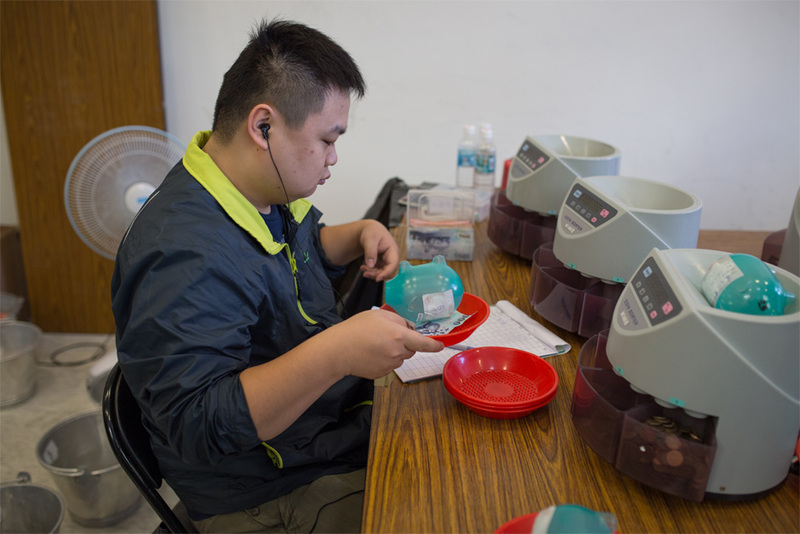 Li, a Tsai Ying-wen presidential campaign worker, empties piggy banks filled with donations collected for the Democratic Progressive Party (DPP), at the party’s headquarters in Taipei on January 5. DPP supporters rally for presidential candidate Tsai Ying-wen in the Shalu district of Taichung. 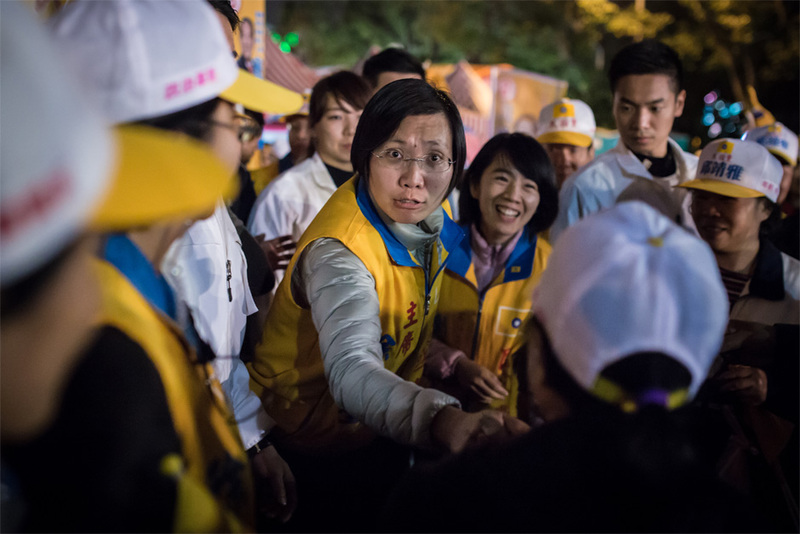 Tsai is widely expected to win the election. 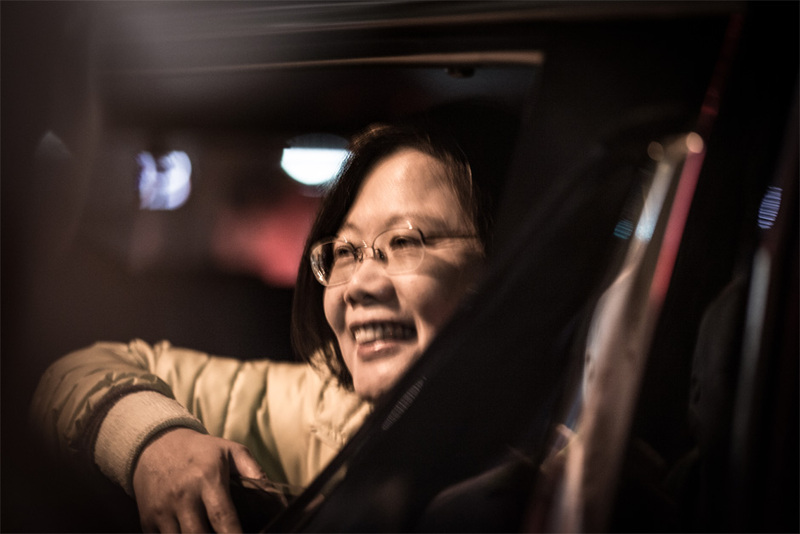 She would be the first woman to become Taiwan’s president. 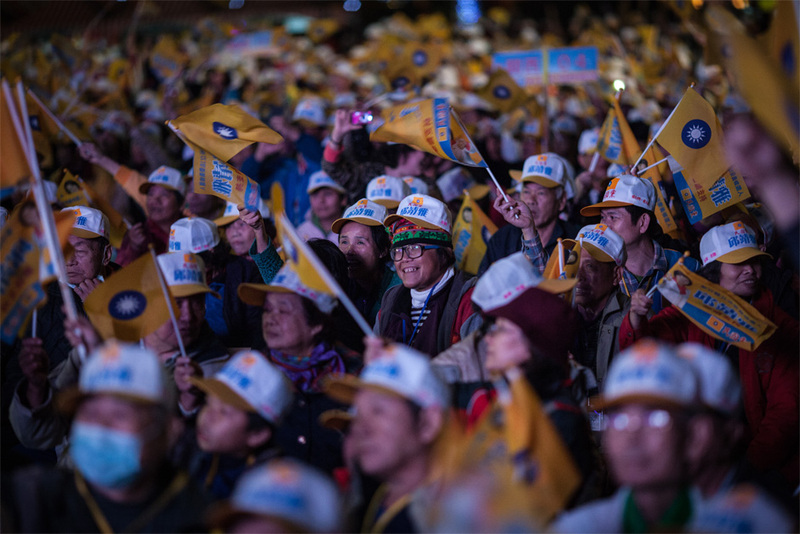 Supporters attend a Tsai Ying-wen rally in Zhudong, Hsinchu County. 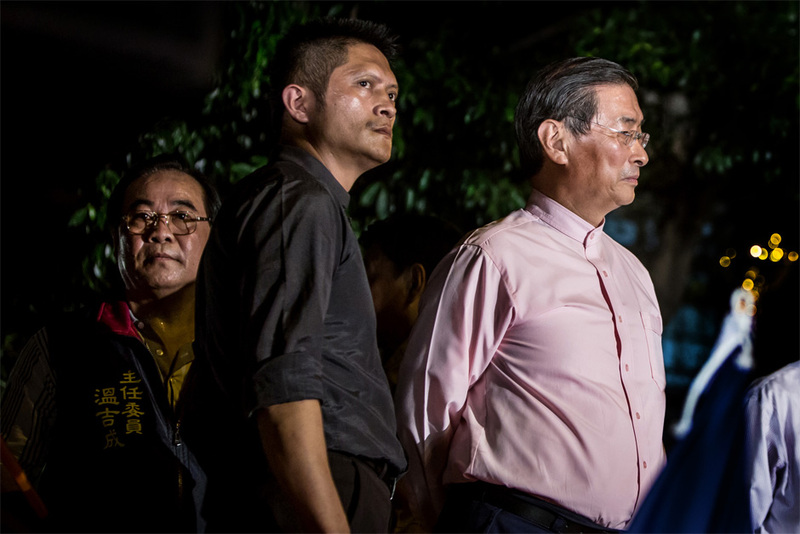 Tsai and her party, the DPP, pledge to lessen the island’s dependence on trade with China. 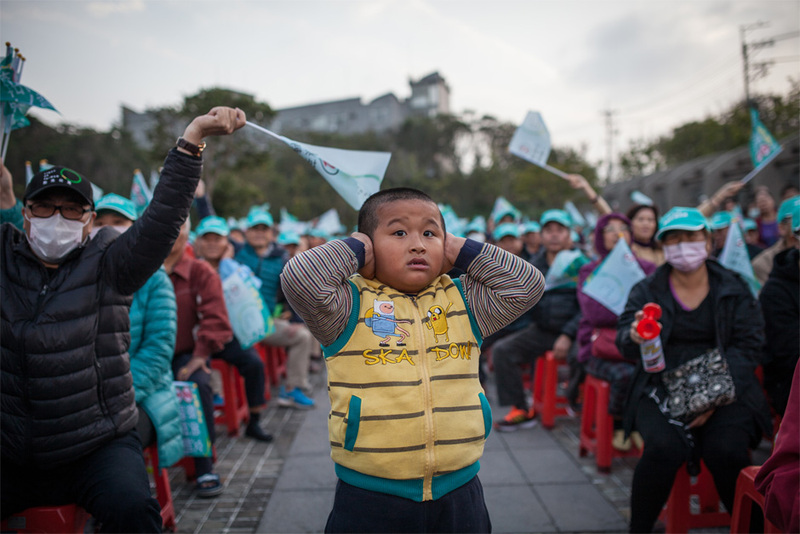 A boy shields his ears from the noise of the crowd at a DPP rally for presidential candidate Tsai Ying-wen in the Shalu district of Taichung. Chang An-lo, a.k.a. the “White Wolf,” right, a former Bamboo Union triad boss, at an August rally across the street from the Taiwan Ministry of Education (MOE). Now the leader of the China Unification Promotion Party, Chang stood in protest against students who occupied the MOE, scolding them for being pro-Japanese. Taiwan presidential candidate Tsai Ying-wen says farewell to supporters after addressing a crowd in Zhudong, Hsinchu County. 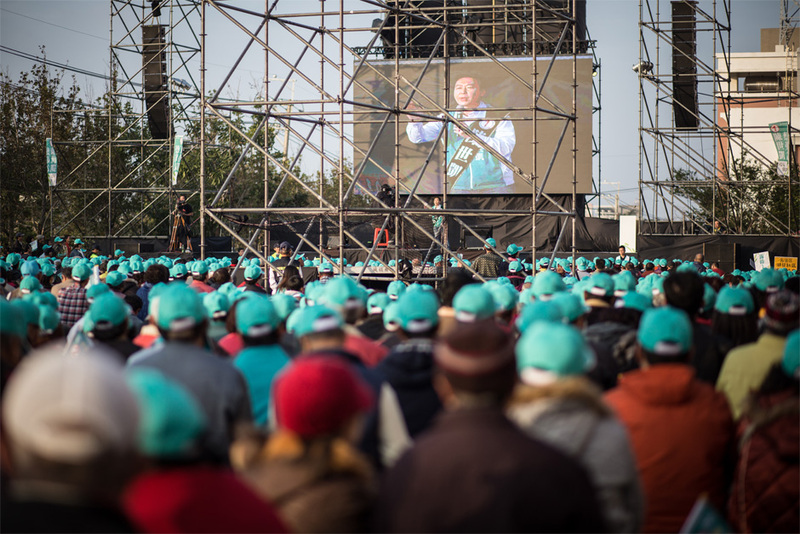 Supporters attend a Minkuotang rally in Zhubei City. 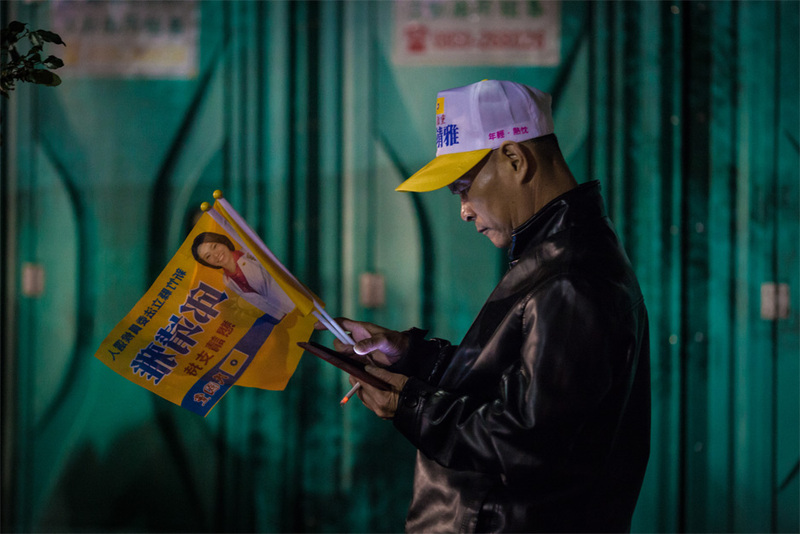 Supporters wait for a DPP rally to begin in the Shalu district of Taichung. 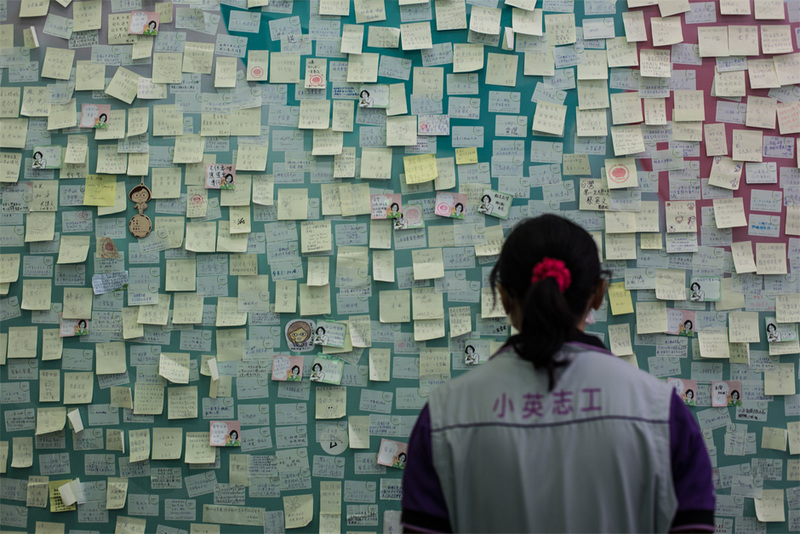 Supporters’ messages left for presidential candidate Tsai Ying-wen on a wall at the headquarters of her Democratic Progressive Party in Taipei. 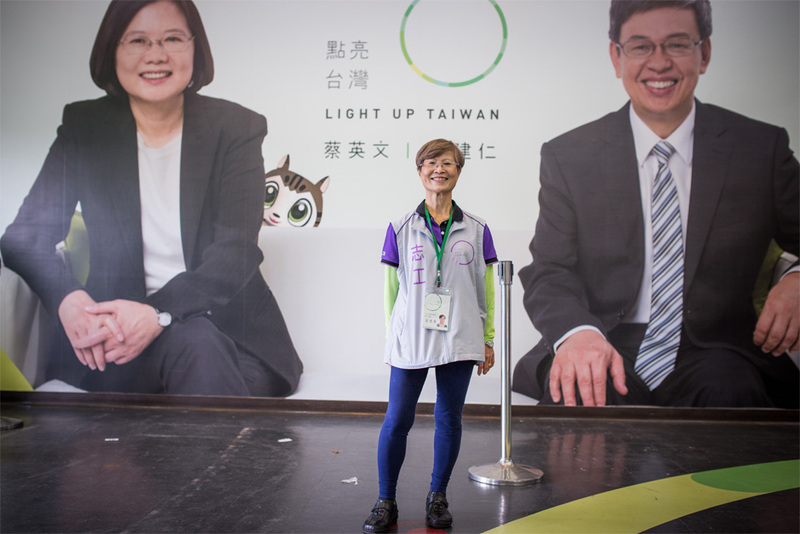 Nellie Shen, 73, has lived in the United States for years, but returned to Taiwan for the 2016 election. 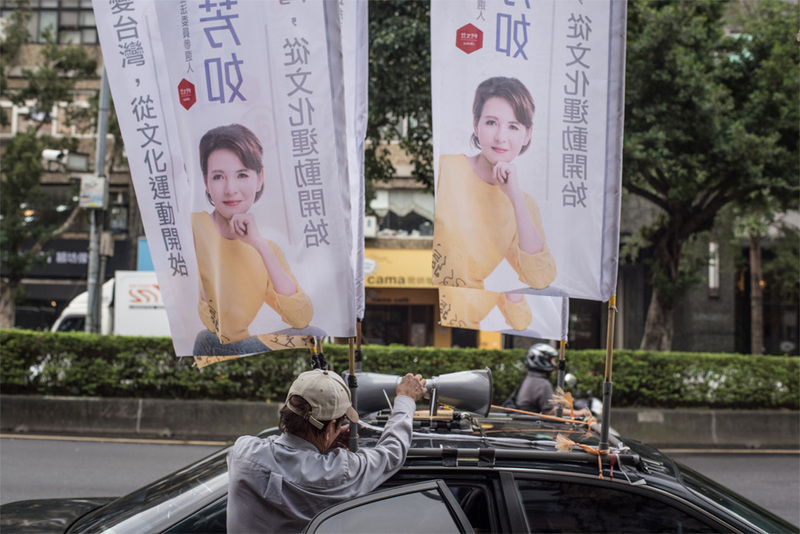 A campaign worker rigs a loudspeaker atop the car of Legislative Yuan candidate Zhou Fang-ru in Taipei. 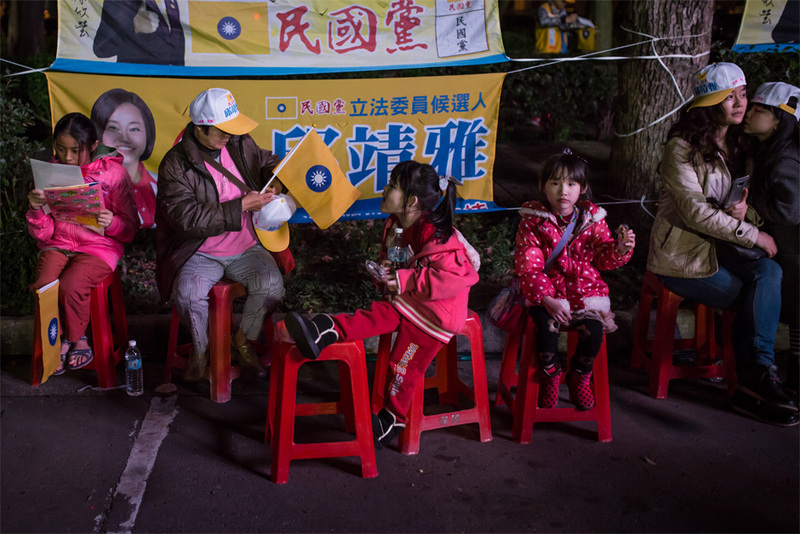 Minkuotang supporters young and old wait on the edge of a rally in Zhubei City. Political advertisements appear everywhere during election season. 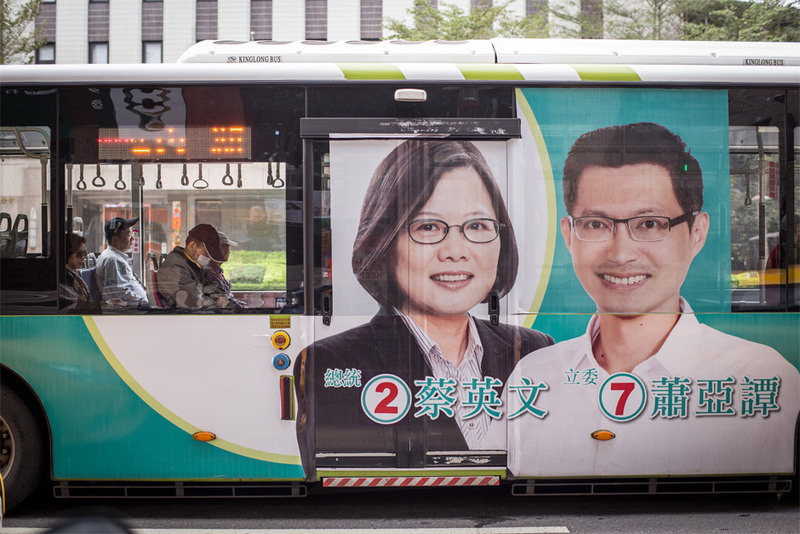 Here, a bus in Taipei displays Tsai Ying-wen endorsing parliamentary candidate Xiao Ya-tan. 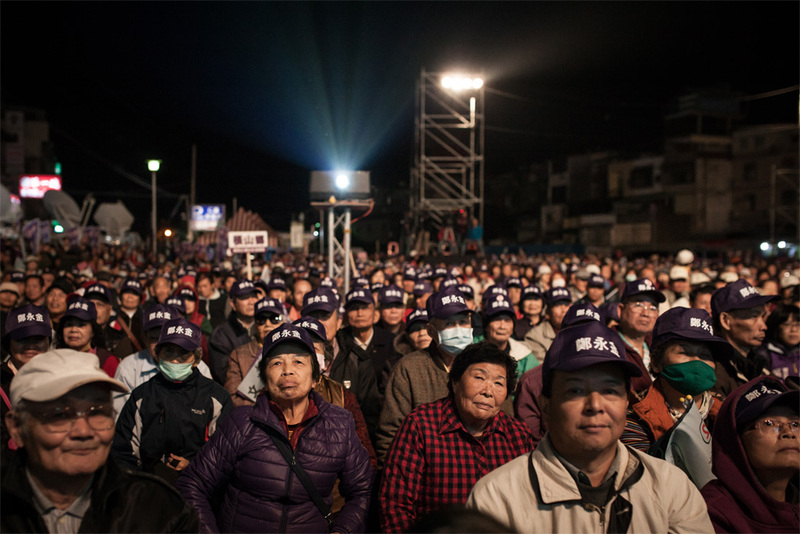 A crowd assembles at a Minkuotang rally in Zhubei City. 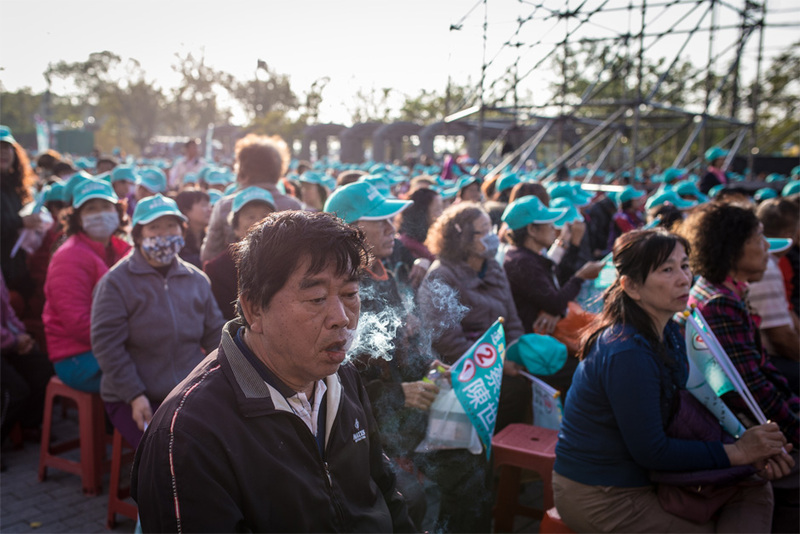 A Minkuotang rally-goer takes a cigarette break in Zhubei City. 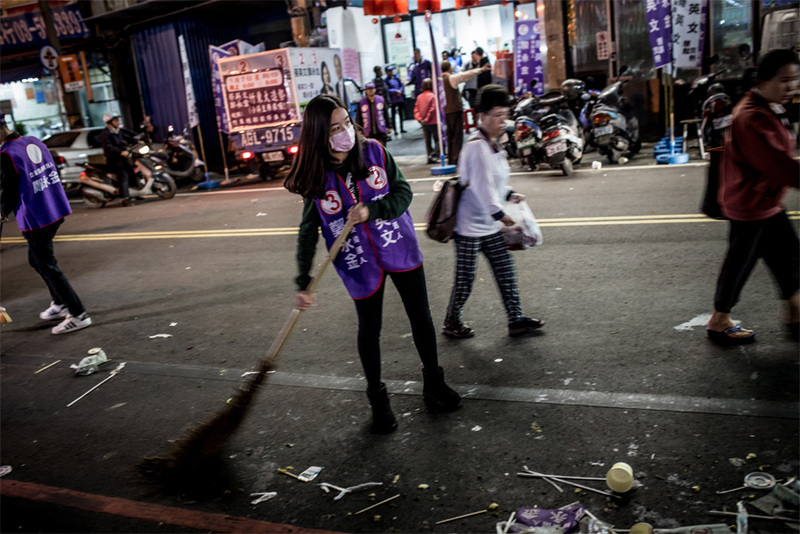 A DPP campaign worker sweeps the street after a rally for Legislative Yuan candidate Zheng Yong-jin and presidential candidate Tsai Ying-wen in Zhudong, Hsinchu County.